LOS ANGELES (Jan. 18, 2014) — SAG-AFTRA presented its coveted Actor® statuette for the outstanding motion picture and primetime television performances of 2013 at the “20th Annual Screen Actors Guild Awards®” in ceremonies attended by film and television’s leading actors, held Saturday, Jan. 18, at the Los Angeles Shrine Exposition Center.  The “20th Annual Screen Actors Guild Awards®” was simulcast live coast-to-coast by TNT and TBS at 8 p.m. (ET) / 5 p.m. (PT). A live stream of the SAG Awards® was also available for viewing online at sagawards.tntdrama.com and tbs.com, as well as through the Watch TBS and Watch TNT apps for iOS or Android. An encore presentation was telecast on TNT at 10 p.m. (ET)/7 p.m. (PT). Morgan Freeman presented Rita Moreno with the union's highest honor, the 50th Annual Life Achievement Award, following a filmed salute. Tom Hanks introduced a filmed “In Memoriam” tribute to the members lost in the past year. PEOPLE magazine and the Entertainment Industry Foundation (EIF) hosted the Screen Actors Guild Post-Awards Gala for the 18th year. This exclusive event, immediately following the SAG Awards on the back lot of the Shrine Exposition Center, honors the philanthropic causes and good works of the members of SAG-AFTRA. The gala benefits the SAG Foundation. The 20th Annual Screen Actors Guild Awards presented by SAG-AFTRA was produced by Jeff Margolis Productions in association with Screen Actors Guild Awards®, LLC. For more information about the SAG Awards, SAG-AFTRA, TNT and TBS, visit sagawards.org/about , “like” us at facebook.com/sagawardsofficialpage , follow us at twitter.com/sagawards , follow us on Google+ at google.com/+SAGawards , on Instagram at @sagawards , and on Tumblr at sagawards.tumblr.com . RJ MITTE / Walter White Jr.